Please note that the links will lead to other - German language - pages of our site or outside. 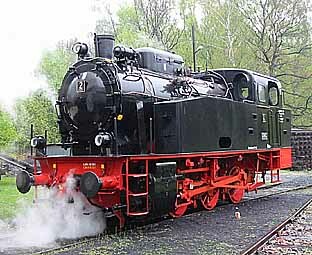 In 1976 this club was founded to run museum trains on the existing line of the Delmenhorst-Harpstedt Railways. 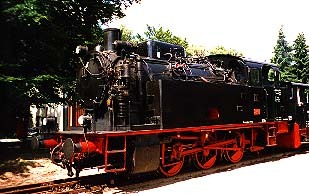 Old engines and coaches should be restored and preserved to revive a tradition from the 1930s when the line had been very much alive with lots of tourists travelling for Sunday excursions to enjoy the lovely scenery alongside the track. 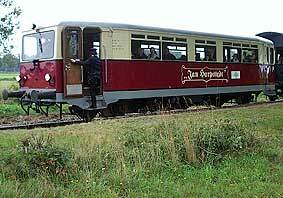 The line is operational on several Sun- and holidays between May and September (see timetable). 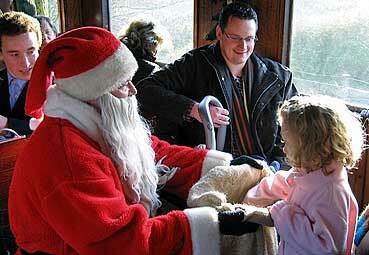 In December there are special Santa rides in cooperation with local newspapers. Of course it can be booked for private excursions for companies, schools etc. as well.